352 multimedia files uploaded, more than 200 participants to the 30 organised events, 82 articles improved, translated or created, 13 media releases… For its 1st phase in Côte d’Ivoire, Wiki Loves Women had a massive impact well beyond Numbers recorded by the Ivorian User Group. Young wikimedian women becoming responsible in Côte d’Ivoire. From the 4 countries where the program was launched in April 2016, Côte d’Ivoire was already showing its exception with a women as Project leader. Originally, Commissaire aux Comptes de l’Association, Dominique Eliane has been given, at the end of a vote from the community, the job to coordinate WLW. «Hesitant» at the beginning, Dominique slowly gained confidence and skills. Always motivating the volunteers, freeing content, developing partnerships, representing the USerGroup, following projects, writing down reports, broadcasting news locally and Internationally…These are all the challenges that Dominique managed to tackle among her male peers in Ghana, Nigeria and Cameroon. She admits : « Wiki Loves Women brought me a lot ». Other example of this impact, Carine Famien, the vice-Présidente of theAssociation. Carine Famien helped Dominique Eliane all year round to develop WLW in Côte d’Ivoire, especially through the development of partnerships, the representation of the Association as well as its promotion on social media. It is no surprise that she received her scholarship from the US department in November 2016 YALI (Young African Leadership Initiative). GLAM are Galleries, Libraries, Archives and Museums. A perfect partner for the Wikimedia movement. In Côte d’Ivoire, the contacts with GLAM were limited to Museums or to listing events. 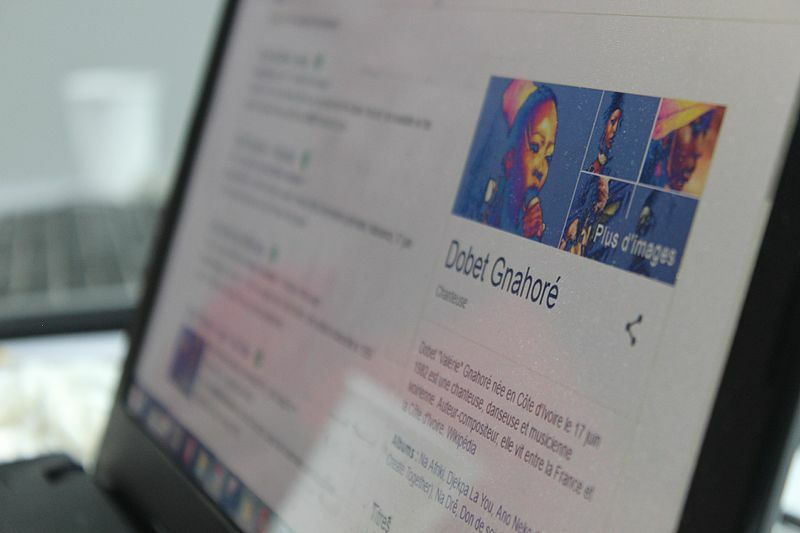 With Wiki Loves Women, the Ivorian GLAM working group GLAM in partnership with Wiki Loves Women’staff, has been able to build on new contacts, this time with libraries. These contacts allowed the édit-athon to happen. Even better, we have started collaborating with the Archives at the National Assembly in Côte d’Ivoire, so Wikipedia can use their resources. Today, the User Group can count on more than 15 regular contributeurs, adding more than 100 edits. There was only 5 of them 10 months ago.